Nashville, TN -- The International Bluegrass Music Association is proud to announce the Leadership Bluegrass class of 2014. Leadership Bluegrass is an intensive, three-day program focused on interactive learning and networking experiences that invite participants to examine the challenges and opportunities facing the bluegrass music industry, along with leadership development issues. This will be the 15th year of Leadership Bluegrass, which now boasts over 350 alumni. The Dreadnoughts Unlimited Scholarship Fund is pleased to announce the 14th Annual Dreadnoughts Unlimited Scholarships to the Steve Kaufman Acoustic Kamp. Dreadnoughts Unlimited makes this annual award to a promising musician who wishes to further his/her studies by participating in one of the week-long kamps in Maryville, TN. Nashville, TN -- Music City’s finest student musicians will once again take the stage during CMA’s Fifth Annual Keep the Music Playing All Stars Concert on Tuesday, Jan. 28 (6:00 PM/CT). Taking place for the first time at the CMA Theater at the Country Music Hall of Fame and Museum, this year’s concert will be hosted by EMI Nashville recording artist and CMA Awards nominee Eric Paslay. Paddy is the recipient of the 2014 Australian Youth Bluegrass Scholarship. He will receive a $1500 cash grant from the Davidson Brothers as well as a recording package from Pacific International Music. At 25 years old, the South Australian musician has established himself firmly as one of the finest mandolin players we have ever seen in Australia. He discovered Bluegrass Music through attending many folk festivals around Australia in his teens and cites Sam Bush (USA) as his biggest inspiration on the mandolin. ArtistWorks, the leading interactive lifestyle social learning platform, today announced the upcoming launch of their new Acoustic Guitar 101 School. Available in early December, Acoustic Guitar 101 represents the most comprehensive free guitar lesson resource available online today. Barnstormer Boost Award for Dedicated Music Teacher -- As the Grand Finale to the James Reams & The Barnstormers’ 20th anniversary coast-to-coast celebration tour, the band performed to a packed house at the Fiddler’s Dream concert hall in Phoenix, AZ on Saturday, November 2nd. The standing room only event brought together this nationally-known bluegrass band, a Grammy-nominated fiddler, a 70-year-old music teacher, and an 11-year-old Hispanic guitar player for an evening of great music and good times. 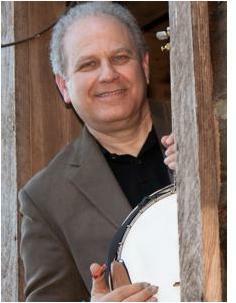 Nashville, TN -- /IBMA/ Time is running out to apply for Leadership Bluegrass 2014! Held March 20-22, 2014 at BMI, and the law firm of Bone, McAllester and Norton in Nashville, Tennessee, Leadership Bluegrass is a three-day, intense, unique opportunity for industry leaders looking to explore bluegrass in the larger world of entertainment. Seminars with top insiders, networking opportunities, and critical thinking sessions are part of the program, and more.